JLOCC has partnered with Grandma’s House of Hope since 2015. Working in the Transitional Housing Program, JLOCC volunteers provide monthly training to residents on topics ranging from stress management to technology. JLOCC aims to support the women in this program by enhancing their life skills while building fellowship, community and self-esteem. 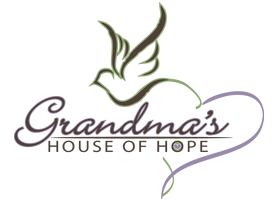 Grandma’s House of Hope aims to empower the invisible populations of Orange County. Driven by their mission statement, “We say ‘Yes!’ when everyone else says ‘No,'” Grandma’s House of Hope serves women, children and families facing extreme poverty, human trafficking, domestic violence, life-threatening illness and severe mental health concerns. Though there are a broad array of groups that offer homeless services in Orange County, Grandma’s House of Hope is unique in the populations they serve and their approach to meeting the individuals’ needs. Grandma’s House of Hope is one of very few organizations in Orange County that partner with the OC Human Trafficking Taskforce to offer shelter to human trafficking survivors. Even more notably, Grandma’s House of Hope offers the only housing program in Orange County that specializes in serving homeless women struggling with breast cancer. For additional information about this project, contact the JLOCC Grandma’s House of Hope Project Manager at grandmashouse@jlocc.org.